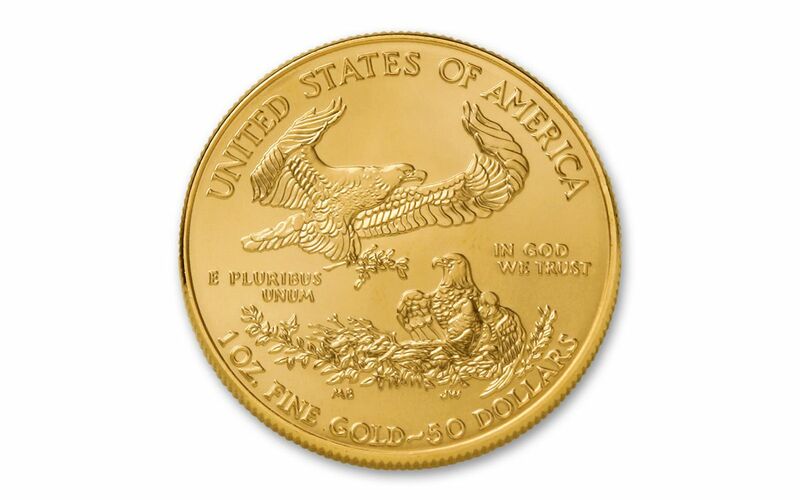 Authorized by Congress and signed into law by President Ronald Reagan in 1986, the Gold Eagle Program would quickly establish itself as a global standard for bullion that is artistically rich, perfectly collectible and thoroughly American. Celebrating its 32nd anniversary in 2018, the 50 Dollar One-Ounce Gold Eagle has returned with its beloved, time-honored design! THE ULTIMATE SAINT-GAUDENS CREATION . . .-- These One-Ounce Gold Eagles exhibit a stunning design of Lady Liberty walking forward with focus and purpose, torch in one hand and olive branch in the other. Originally introduced on the famous 1907 $20 Double Eagle and born from collaboration between Augustus Saint-Gaudens and Theodore Roosevelt, this design reveals beautifully intricate details (like the U.S. Capitol building in the distance) with each viewing.
. . . PAIRED WITH A PATRIOTIC FAMILY!-- Featuring a male bald eagle carrying an olive branch to his family, sculptor Miley Busiek's design for the reverse continues to serve as a perfect modern companion to Saint-Gaudens' vision. EXPERTLY STRUCK IN HIGHLY PURE GOLD-- The craftspeople of the U.S. Mint are known around the world for their skill and attention to detail. It's this talent that transforms each one-ounce planchet of 91.67% pure gold into a breathtaking work of numismatic art. 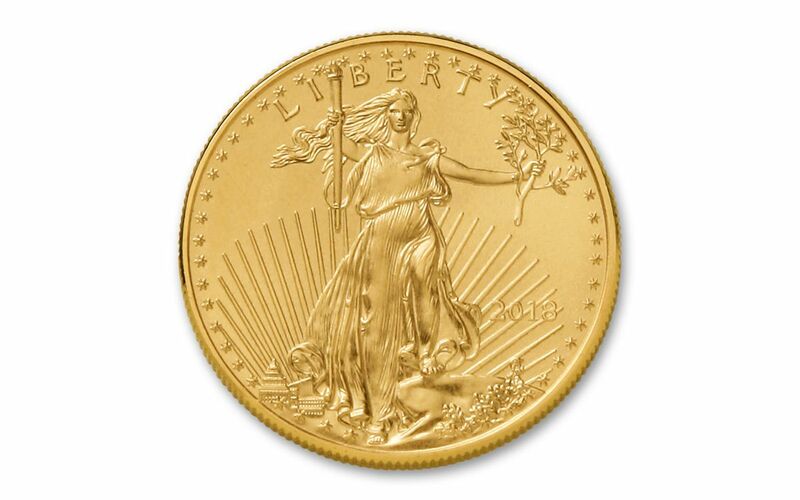 U.S. LEGAL TENDER-- Minted in gold mined in the United States with weight and content guaranteed by the U.S. government, each 2018 1-oz Gold Eagle bullion coin is 50 dollars U.S. legal tender, as seen on the coin's reverse. 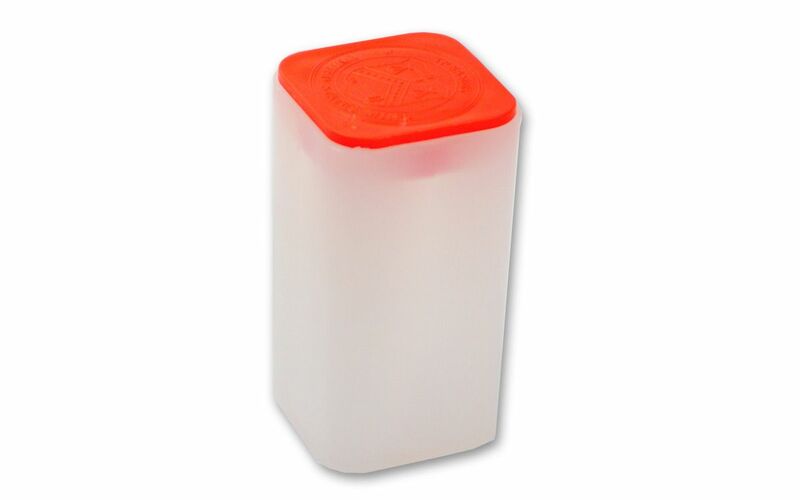 20 GOLD EAGLES IN BU CONDITION -- Your 20-coin roll of 2018 1-oz Gold Eagles will arrive to you in Brilliant Uncirculated (BU) condition, exactly as it left the U.S. Mint, secured in its original mint tube. 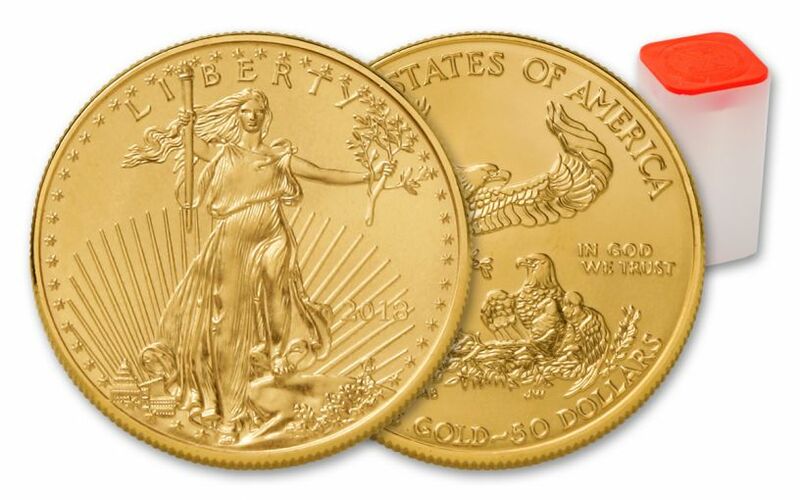 The general public can't purchase 2018 1-oz Gold Eagles like these directly from the U.S. Mint. Only approved bullion distributors can buy them directly from the source. Fortunately, GovMint.com is your connection to buy these beautiful bullion coins! But don't wait too long -- this popular series is a perennial hit with collectors and goldbugs alike. Make these Gold Eagles part of your collection today!